Montana opened the first government-run medical clinic for state employees last fall. A year later, the state says the clinic is already saving money. "I thought it was just the goofiest idea, but you know, it's really good," she says. In the last year, she's been there for checkups, blood tests and flu shots. She doesn't have to go; she still has her normal health insurance provided by the state. But at the clinic, she has no co-pays, no deductibles. It's free. That's the case for the Helena area's 11,000 state workers and their dependents. With an appointment, patients wait just a couple minutes to see a doctor. Visitation is more than 75 percent higher than initial estimates. "For goodness sakes, of course the employees and the retirees like it, it's free," says Republican State Sen. Dave Lewis. He wonders what that free price tag is actually costing the state government as well as the wider Helena community. "If they're taking money out of the hospital's pocket, the hospital's raising the price on other things to offset that," Lewis says. He and others faulted then-Gov. Brian Schweitzer for moving ahead with the clinic last year without approval of the state legislature, although it was not needed. Now, Lewis is a retired state employee himself. He says, personally, he does like going there, too. "They're wonderful people, they do a great job, but as a legislator, I wonder how in the heck we can pay for it very long," Lewis says. Even so, division manager Russ Hill says it's actually costing the state $1,500,000 less for healthcare than before the clinic opened. "Because there's no markup, our cost per visit is lower than in a private fee-for-service environment," Hill says. Physicians are paid by the hour, not by the number of procedures they prescribe like many in the private sector. The state is able to buy supplies at lower prices. Because there's no markup, our cost per visit is lower than in a private fee-for-service environment. Hill says the facility is catching a lot, including 600 people who have diabetes, 1,300 people with high cholesterol, 1,600 people with high blood pressure and 2,600 patients diagnosed as obese. Treating these conditions early could avoid heart attacks, amputations, or other expensive hospital visits down the line, saving the state more money. "Having those barriers of time and money taken out of the way are a big part [of what gets] people to come into the clinic. But then, when they come into the clinic, they get a lot of face time with the nurses and the doctors," Barnwell says. That personal attention has proved valuable for library technician Pamela Weitz. A mammogram late last year found a lump. "That doctor called me like three or four times, and I had like three letters from the clinic reminding me, 'You can't let this go, you've got to follow up on it,' " she says. Two more mammograms and an ultrasound later, doctors think it's just a calcium deposit, but they want her to keep watching it and come in for another mammogram in October. Weitz says they've had that same persistence with her other health issues like her high blood pressure. She feels the clinic really cares about her. "Yeah, they've been very good, very good," she says. 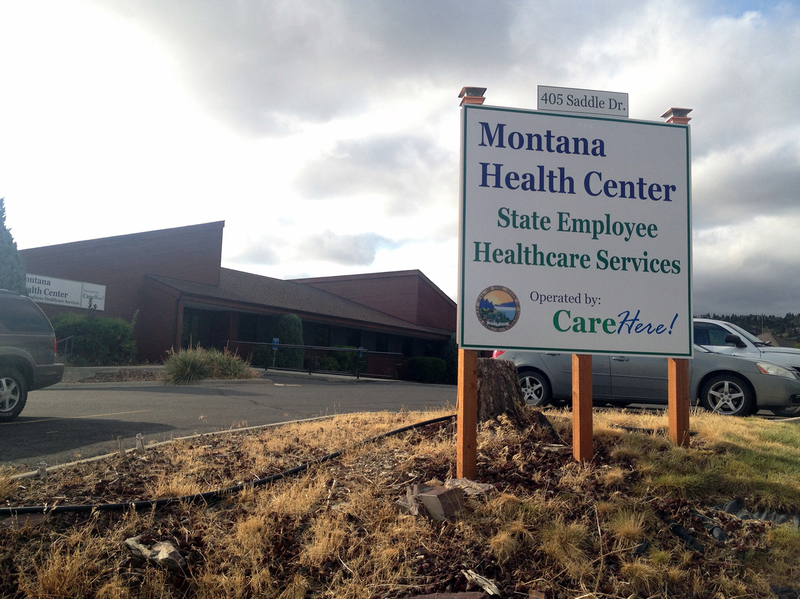 Montana recently opened a second state employee health clinic in Billings, the state's largest city. Others are in the works.